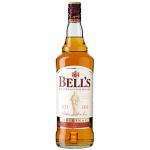 1 Litre Bells whisky only for a few days the booze manager tells me. heat added. This was advertised in the Metro yesterday. Hot, these bottles are normally nearer £18-20. Available in Bilston store,bought 3 bottles(max 3 bottles per customer). Offer on til Sunday 15/08/2010.